For the past two years, we’ve spent the holidays in Germany, hopping from one Christmas market to the next, eating gingerbread treats, shopping for delicate, handmade souvenirs, and sipping on glühwein. And today, I’m feeling a little nostalgic… Christmastime in California is just not the same. Since we can’t be in Europe this holiday season, why not bring Germany’s Christmas markets to my own kitchen? Are you ready to make some glühwein, or what? Glühwein is a traditional German holiday drink that tastes just like Christmas. Basically, it’s red wine, infused with the festive flavors of cloves, cinnamon, and citrus. It’s served piping hot in a glass, and it’s everything you need in your life. 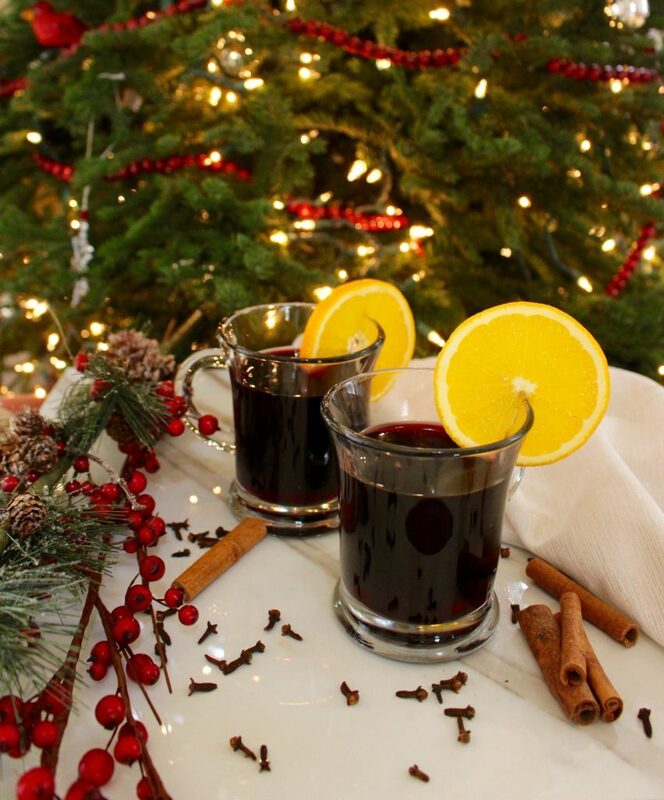 This traditional German glühwein recipe is perfect for holiday parties, or simply sitting by the fireplace. And it’s super simple to make, too! If you have 12 minutes to spare, and some typical pantry ingredients, you’ll be sipping on your own glühwein in no time! Glühwein is a traditional German beverage, served during the holiday season. This recipe includes red wine, citrus, cinnamon, and cloves, and is perfect for Christmas parties or simply sitting by the fireplace! In a pot, add all ingredients and simmer, but do not boil. 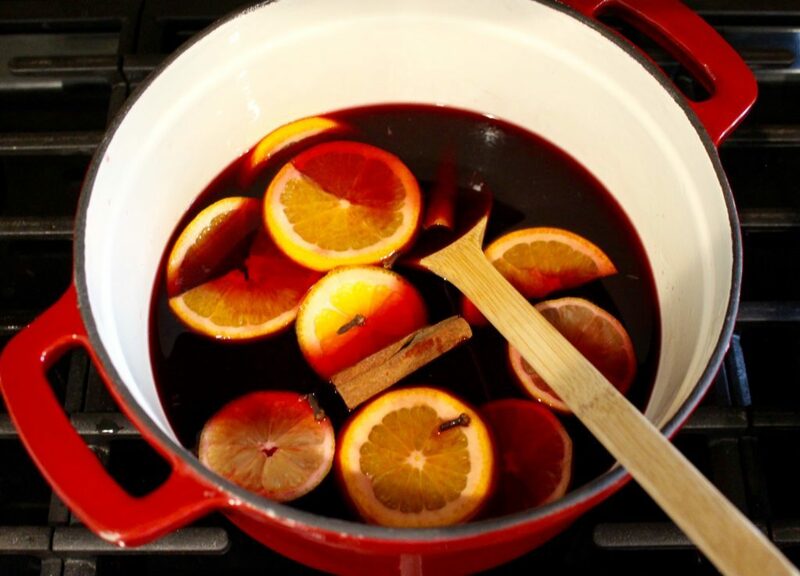 Once the glühwein is hot and the sugar has dissolved, remove the cloves, cinnamon sticks, and fruit slices. Serve piping hot in a festive glass or mug. If desired, garnish with an orange wedge. Have you visited Christmas markets in Germany before? 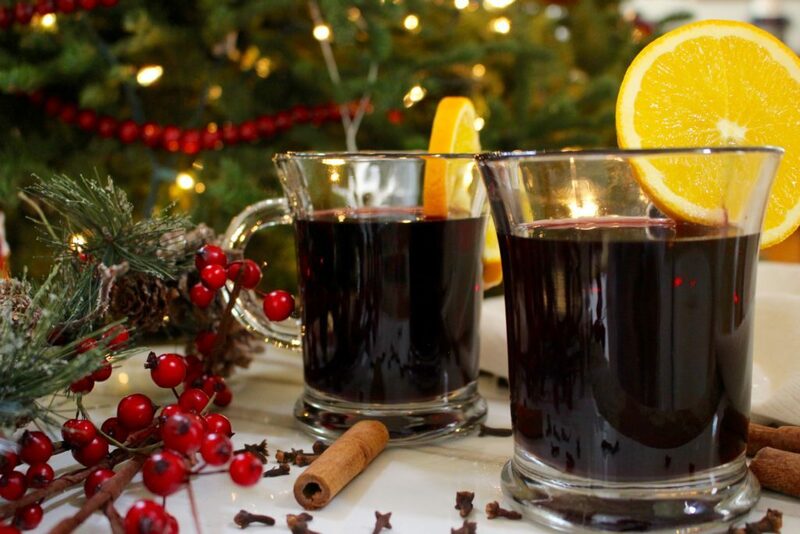 Have you tried glühwein yet? 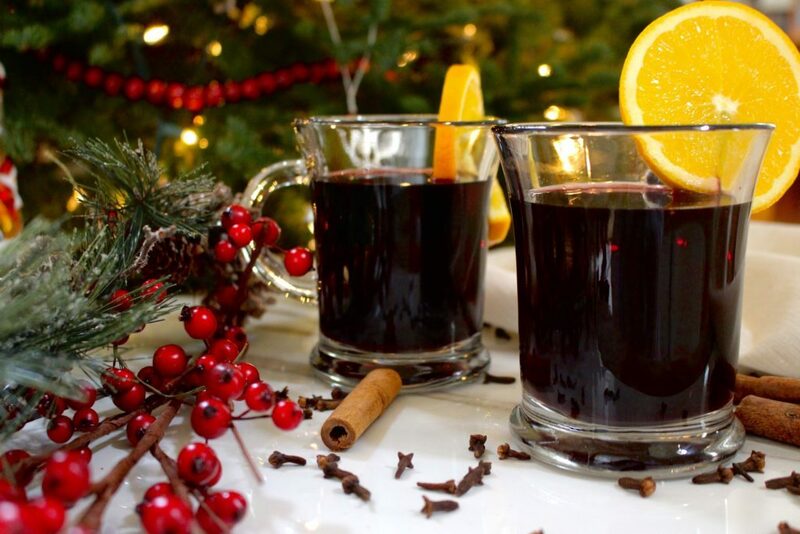 Send us pictures and leave comments below after you’ve tried out this glühwein recipe! Ooh, this sounds so yummy! I’m not a big fan of eggnog, so this would be a great Christmas drink for me instead. :) And I bet it makes the kitchen smell SO good! It does smell so good! I think it’s the perfect Christmastime drink, and on top of that, it’s sooo easy to make!